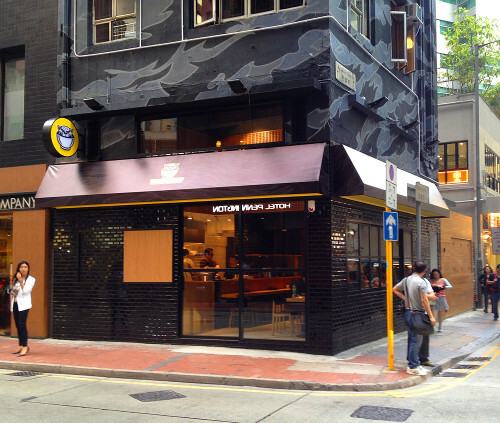 Tiger Curry, a collaboration between chef Satoru Mukogawa, of the popular Sushi Kuu restaurant, and the people behind Lily & Bloom, opens after Easter in Causeway Bay. The menu is based on their signature Japanese curry sauce that contains 26 different ingredients. 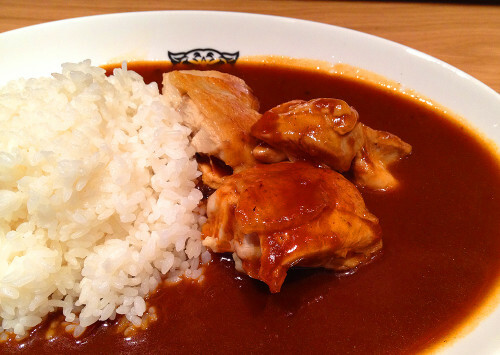 Tiger Curry offers a variety of traditional Japanese curry favorites, in addition to some modern twists. On the menu you can find deep fried pork chop, shabu shabu beef, hamburger steak, vegetable, and grilled chicken curries. 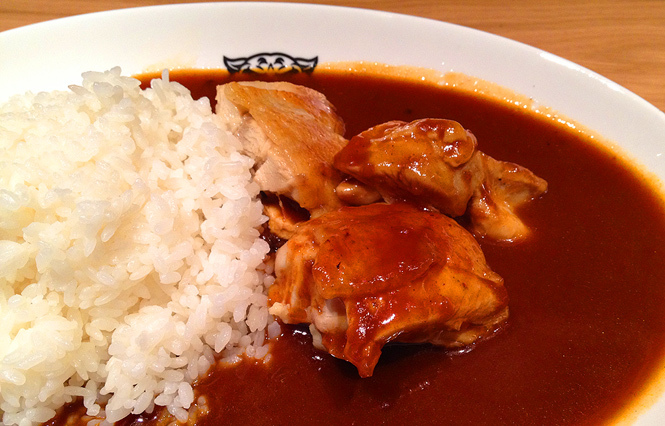 If they desire, customers can customize their curry with add-ons including onsen egg, kimchi, extra sauce, or cheese. For a different taste, the curries can all be served with Japanese pasta instead of rice. The menu also contains interesting sides such as cheese fries with Tiger Curry sauce, curry breadsticks, deep fried cheese mochi, and edamame with chili powder. There are also numerous vegetarian options on the menu such as salads, which makes it an ideal spot for something quick and healthy on the go. 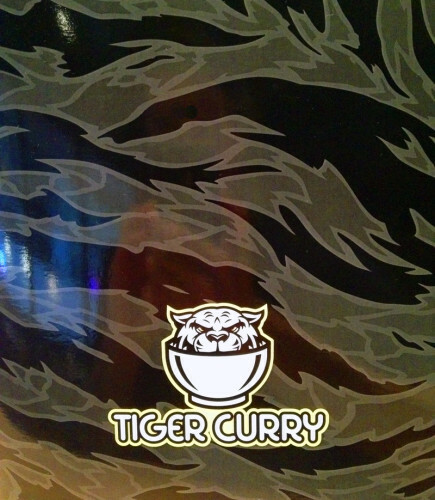 At the moment, Tiger Curry is in soft-opening mode and we just tried the grilled chicken curry. 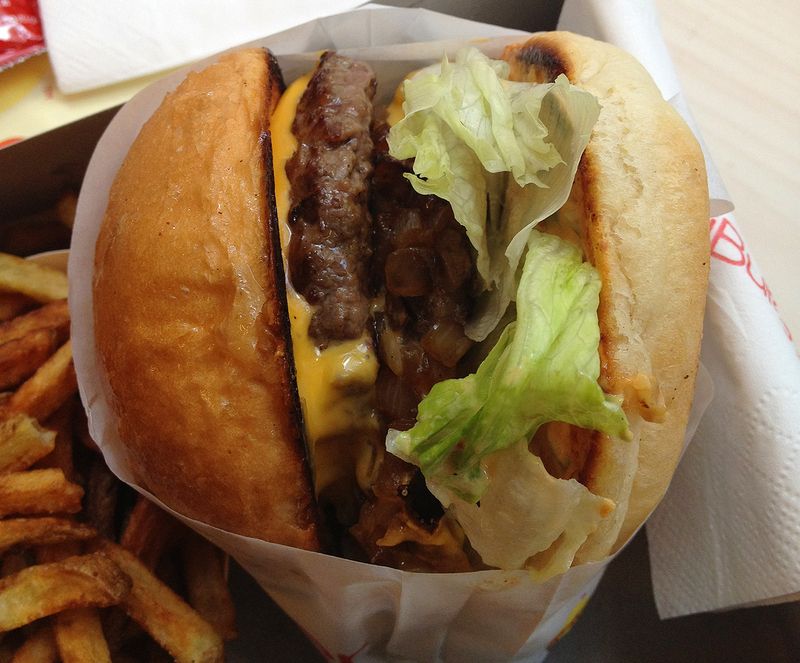 The portion was a good size, and the flavor was tangy, with a little spicy kick at the end. One thing that separates Tiger Curry from others is the complexity of their sauce. While typical Japanese curries are made from five ingredients, they use twenty-six! At other curry places they often rely on msg as a short-cut to enrich the flavor, however at Tiger Curry they use strictly premium ingredients and there was no lingering after-taste or unquenchable thirst. For dessert they have three flavors of Japanese ice cream including, sea-salt, taro, and sesame. Prices are moderate to low, and there will be lunch and tea sets available once the restaurant officially opens. 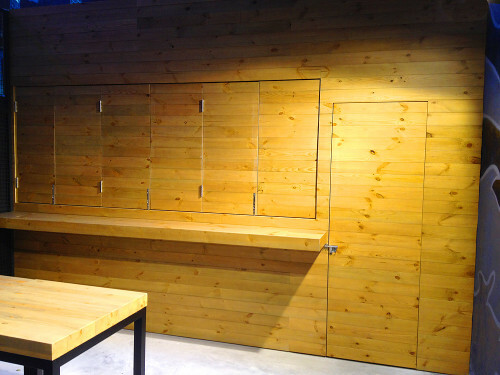 The space includes a hidden courtyard that supplements the seating area in front and will be ideal during good weather. The main room has several tables and counter seats, in addition to a well thought out take-away window that opens up to take orders directly from the street. The decor is simple, clean and modern. 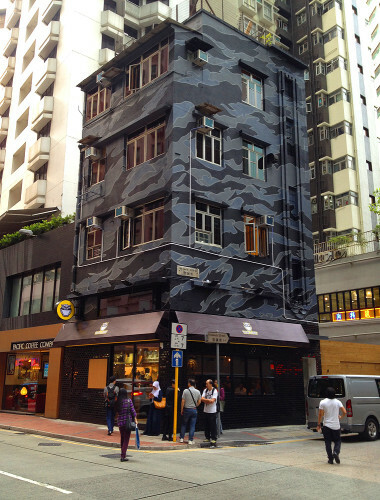 The facade of the entire building has been completely covered in Tiger Curry’s camo print. 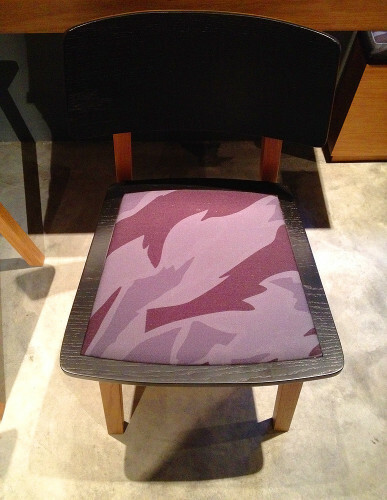 The branding on the inside includes menus and chairs in the same camo-tiger print motif. As you walk down the street, the building is a clear stand out, which should drive further traffic to the restaurant. 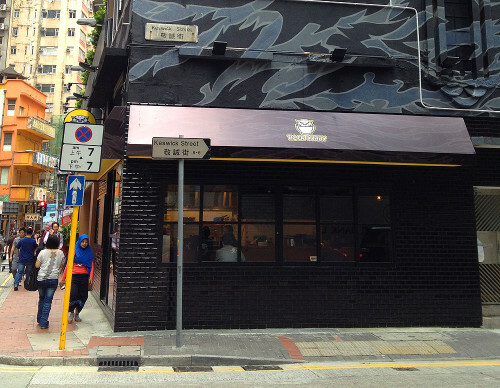 Tiger Curry is located on the corner of Pennington Street and Keswick Street, which is near the former Jah Hotel, not far from Din Tai Fung. 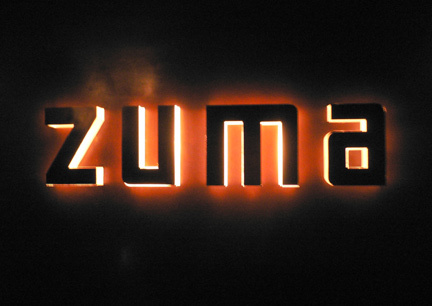 When the restaurant is up and running, the standard operating hours will be from twelve noon until midnight. 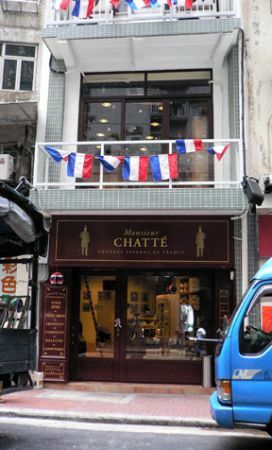 An authentic taste of France… in Sheung Wan? Previous articleJ Rocc is back! Saturday! Next articleWHAT? There’s a Chanel surfboard? !